The Windows 10 Anniversary updates are launched by the Microsoft and this latest update is rolling out to over more than 350 million windows 10 devices around the world. But this update is not as easy install as you are thinking, while downloading and installing this updates lots of issues/errors/ to common problems can prevent you from downloading and installing this latest update. 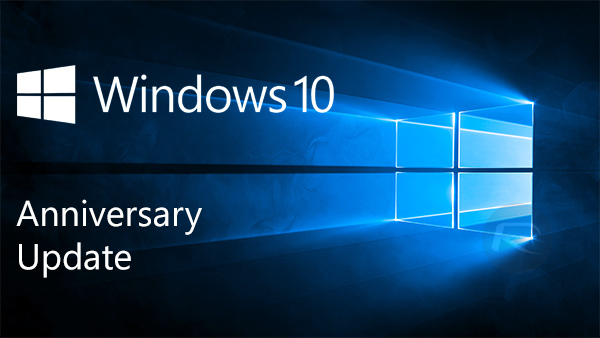 In this blog you will read about the different errors and their solutions in order to install windows 10 anniversary update without any errors. Building an operating system is not an easy task, why so different updates are released by the manufacturer to solve different bugs and errors. But sometime while installing those updates become very difficult due to update errors. But always remember that OS is not responsible for these errors sometime problems like update error may appear due to some other factors such as outdated system drivers, software malfunctioning, or certain custom configure actions. Code 0x80073712 This error appears when the required Windows update file is damaged or missing. Code 0x800F0923 If you are getting this error code then make sure that all the installed system drivers or other software installed on your PC isn’t companionable with the upgrade to Windows 10. Code 0x80200056 This error appears when the upgrade process was broken up. This can happen due to accidental system restart or signed out of your PC/laptop, disconnected internet connection and more. Code 0x800F0922 This error code comes in to view due to server issue, when your system gets unable to connect to the Windows Update servers then this error may appear. To fix this issue, disconnect the VPN connection if it is used by your system to connect to a work network. After disconnecting the network turn off the VPN software and try upgrading again. Also make sure that your systems HDD space is free, as sometime this error could also mean that there isn’t enough free space in the System Reserved partition. Error: The update isn’t applicable to your computer. If your system is displaying this type of error then it is recommended to make sure that your PC or laptop is packed with the required updates installed. If not then install the necessary updates first and then try upgrading. Code 0xC1900208 – 0x4000C If your computer or laptop has any incompatible app then this error may appear. It is very dangerous error and able to block the entire upgrade process. So remove any incompatible apps and then try upgrading again. Code 0xC1900202 – 0x20008 These errors codes indicate that your PC doesn’t meet the minimum system requirements to download or install the Windows 10 anniversary updates. Code 0x80070070 – 0x60000 If your windows 10 PC or laptop doesn’t have required space to install the upgrade then these error codes may appear on the screen.